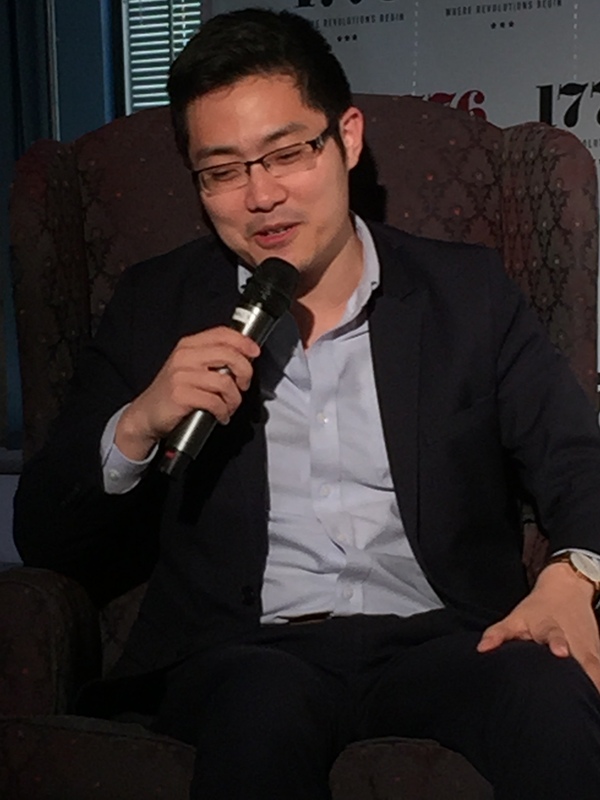 Tim Hwang, 24-year-old co-founder and CEO, FiscalNote. The next generation SaaS (software as a service) platform let’s users track and predict with up to 94% accuracy legislation at any given moment. It has been referred to by outsiders as Bloomberg for legislative reporting. FiscalNote co-founder and CEO, Tim Hwang, and his childhood friends, Jonathan Chen, CTO, and Gerald Yao, CSO, are making the U.S. legislative process transparent. Their company is entering its third year of refining next-generation legal software with programming expertise from friends formerly with NASA, Sprint, and other technology companies. The company just got $10 million in Series B funding led by China’s Renren so they can move full speed on aggregating legislation, regulations, eventually adding court cases in the U.S. and around the world. It will extract information, normalize it, and allow people to get a better sense for what’s going on in the regulatory environment at any given time. Think of it as the Bloomberg of legislative news. Its potential market: huge. Say you’re sitting at Uber or Lyft headquarters and you’re getting slammed left and right. You’re slammed $7 million one day, you get shut down in this state here, you get fined in this city here; you’re going crazy trying to follow all these different things. What do you do? Naturally you hire general counsel, as any major organization would. Then you start hiring a bunch of attorneys, lobbyists, start following the issues, start advocating for certain things. Who is used to hiring general counsel by age 17? Hint: Tim. He Did What? How Young? Tim Hwang, co-founder and CEO of FiscalNote, has organized a grassroots charitable organization; volunteered extensively with Barack Obama’s presidential campaign, and served on the board of Montgomery County Public Schools at a particularly litigious time. He has cracked the entrepreneurial code. Tim’s understanding of the problem of keeping up with legislative information grew out of his experience with community service, public policy, politics, and startups. It was here he learned about specific challenges, consequences, and opportunities. He was familiar with U.S. government bureaucracy by osmosis through his South Korean-born parents who both worked for the federal government, his mom at local art museums and his dad at the National Institutes of Health, in Maryland. No surprise he is the oldest of two. Instrumental in a charitable organization for local assistance in middle school. Founder of an organization to help institutionalize the youth force in Washington, DC. Early in his junior year of college, Tim was approached by alum he knew from the first Obama Campaign to create a center/left grassroots 501(c)(4) political organization advocating for the 18-34 year old demographic, tackling issues such as immigration, implementation of ACA, and Pell grant funding. You realize quickly even if you’re here in Washington, DC, you don’t really know what’s going on at Capitol Hill in different departments. My approach with the school board was very traditional. I had a bunch of interns analysts reading information, assembling reports so we could go back and react to events. The only problem was that it took weeks to get information and by the time the board got it it was generally too late to do anything about it. His friends working in federal government agencies faced similar issues. As Congress was shutting down effectively; a lot of governance was moving to the state and local levels. It was a stupid problem. It was a search engine problem. Now it’s on the way to fixed for more industries. Today if you type “ridesharing” in FiscalNote, you can surface all of the ridesharing laws in the U.S. at any given time. You can follow it every single step in the process, and by the way, you can forecast with over 94% accuracy whether or not a particular bill’s going to pass. The ridesharing industry is only one use case for employing software tools to help channel resources into the areas needed most, whether that’s lobbying, litigation, general counsel, compliance. FiscalNote’s challenge is less on building the technology and more on taking this broad-based application technology and creating use cases. Magnify the ridesharing information challenge in financial services, where you have Dodd Frank; in healthcare where you have ACA regulations coming out; in energy, with new clean power plants coming out; any major industry really in retail or technology there’s a very specific use case. 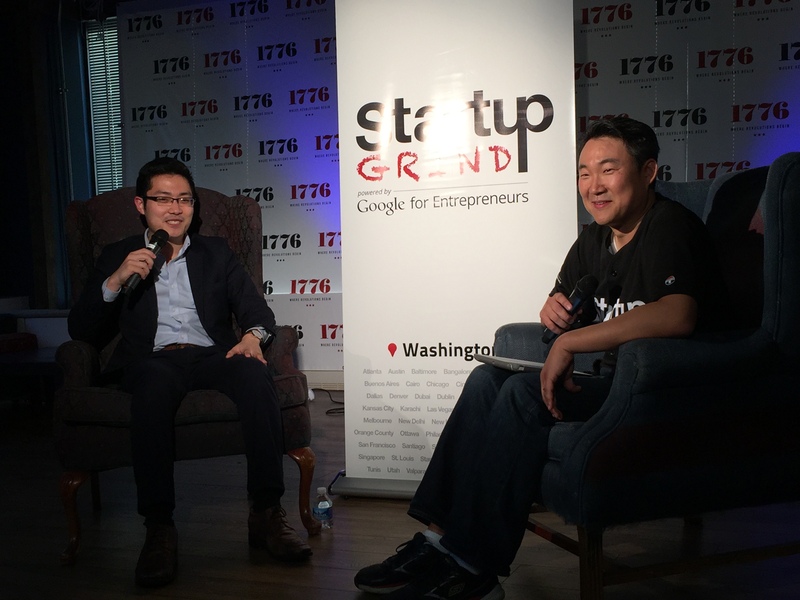 Co-founder Jonathan Chen’s Chinese-born parents knew through their suburban Maryland community about a competitive summer computer science internship at government-run computer related industries. Jonathan said he learned more about computer science that summer internship than in his years in U.S. schools. Jonathan and Tim combined computer skills and policy ideas and designed a platform to use to access open government data. Together with third co-founders came in second, and were told they could have won first if they had a working prototype. But How Did The Co-Founders End Up Living in a Motel Six? Housing was expensive so the three co-founders split a Motel Six room with two beds and a cot by night and office by day. Like an episode of the Silicon Valley TV comedy, the guys coded for a couple of months at times sharing the more comfortable double bed, or ending up on the floor, or a cot. One night Tim was in another state to make a presentation. He had some time so he cold-emailed investor, entrepreneur and sports team owner, Mark Cuban, a five-line note introducing FiscalNote and asking if he would like to know more. The angel investor, seen on SharkTank, responded with interest in 40 minutes and a list of questions. The team jumped on it, abandoning movie tickets purchased for Wolverine, and working around the weekend to answer the questions and close a deal. Mark Cuban led their first round of investment, joined by Yahoo co-founder, Jerry Yang, now with AME Ventures, First Round Capital’s Dorm Room Funk, and the world’s largest venture capital firm, NEA. I don’t think there’s any secret to attracting a brand name investor. I honestly think If you build a strong business from the core you can attract anybody. Making the MVP helped them realize they had a company. They were trying to grab as many data points as possible, trying to validate it as quickly as possible. They ended each of their 60-70 market discovery calls with this question: Would you want to buy it [the solution] from us? The rate of your professional development needs to be greater than your company’s growth. To be a top CEO, CTO, by the time your company gets to next stage you have to commit to constant development, training, mentorship, so we get there. Eventually that value we have internally spreads to others, more willing to take chances for someone not necessarily with tech skills, with a sense of culture and a commitment to culture. After every board meeting, every quarter, the entire company reviews the board investor deck with Tim to go over entire strategy, the expectations set by board members and ourselves, expectations for our investors and ourselves. Challenges, issues, strategies, debating. Getting metrics is a challenge. If you could name a perfect acquirer who would it be? Acquisitions aren’t always about money, they’re about the mission you’re trying to bring to fruition. Acquisitions should be a combination of your efforts. We have a big mission to build next generation legal software. Our strategy from the very beginning has been we are industry agnostic but role specific…We had to drill down and solve one problem for the person in a particular role in that industry. On the bright side, he says, his mother had always wanted him to go to law school. FiscalNote might just be OK after all though.